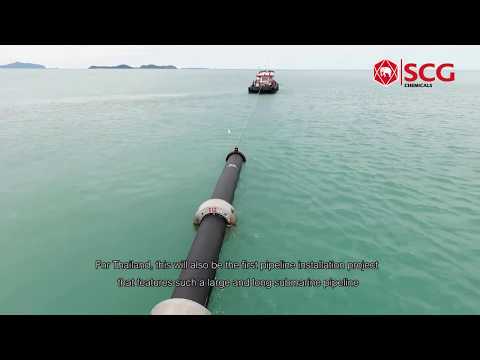 The submarine pipeline construction project between Phun Phin District and Koh Samui, Surat Thani, is Thailand’s first submarine pipeline installation that involves large pipes -- 800-millimeter PN 10 HDPE pipe -- which will be 20 kilometers in length and laid on the sea bed. 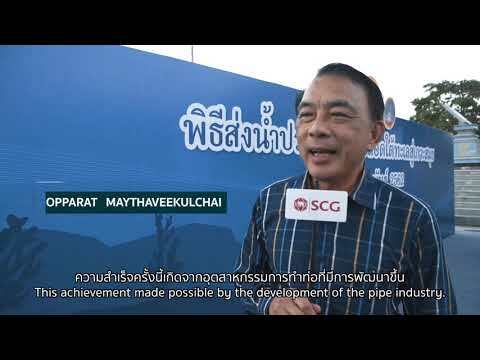 As such, PWA has attached great significance to the process of selecting experts to design and oversee the construction and chosen Wiik & Hoeglund Plc., an experienced expert on underwater pipeline construction, which ultimately led to cooperation with SCG Chemicals as the manufacturer and developer of the innovative EL-Lene™ H112PC black polyethylene compound. This plastic is used in the production of PE112 pipes, which, because they are recognized for its world class standard and superiority to PE100 pipes.